What better way to get your feet wet than watching Penny Lane’s new documentary, Hail Satan? The 95-minute vision of the last and most controversial religious movement in the United States premiered at this year’s Sundance Film Festival (before it also performed at the Rotterdam International Film Festival a few days later), A Faithful Man but now the People from all over the world will experience it thanks to the first trailer of the movie. This initial teaser does not offer the hard sell that many movements (religious, religious, political or otherwise) tend to trust, but it does present some charismatic satanists who defend their case. You will not find the suggestion that drinking blood brings absolution or that meat is sacrificed in favor of your gods, but that they are people alien to social norms that seek to protect themselves. The face of Satanism may be the activist, spokesperson and co-founder Lucien Greaves, but there are many characters to find throughout this first trailer. In narrating the extraordinary emergence of one of the most colorful and controversial Welcome the Stranger religious movements in the history of the United States, Hail Satan? is an inspiring new and entertaining documentary by acclaimed director Penny Lane (Nuts, Our Nixon). 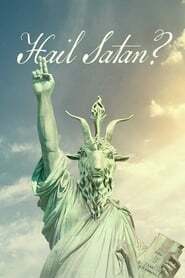 When members of the Satanic Temple media experts organize a series of public actions designed to advocate for religious freedom and challenge corrupt authority, they demonstrate that with little more than an intelligent idea, a naughty sense of humor and some rebellious friends . As charming and fun as thought provoker, Hail Satan? It offers a timely look to a group of Any Bullet Will Do people often misunderstood, whose unwavering commitment to social and political justice has empowered thousands of people around the world.